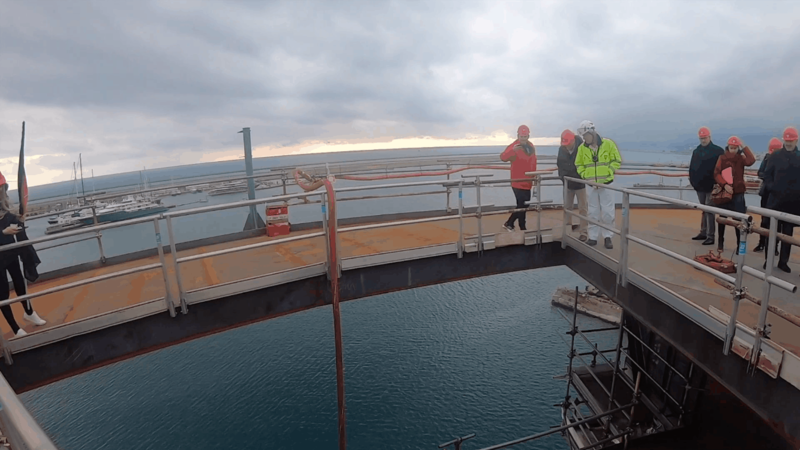 In February 2019 I was invited by Virgin Voyages to join them in Genoa Italy. Scarlet Lady is the first cruise ship for Virgin Voyages and I was lucky enough to be able to explore the ship. 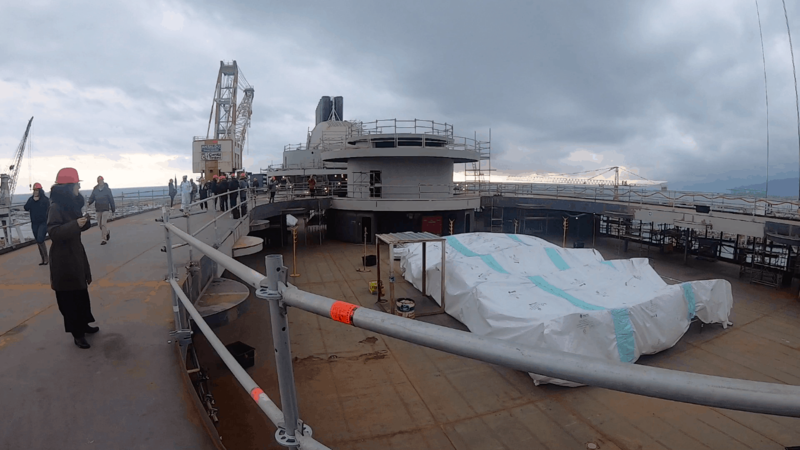 In this post, I will share with you the photos that I took onboard with the renderings provided by Virgin, I hope that this will help you to imagine what she will look like when completed. 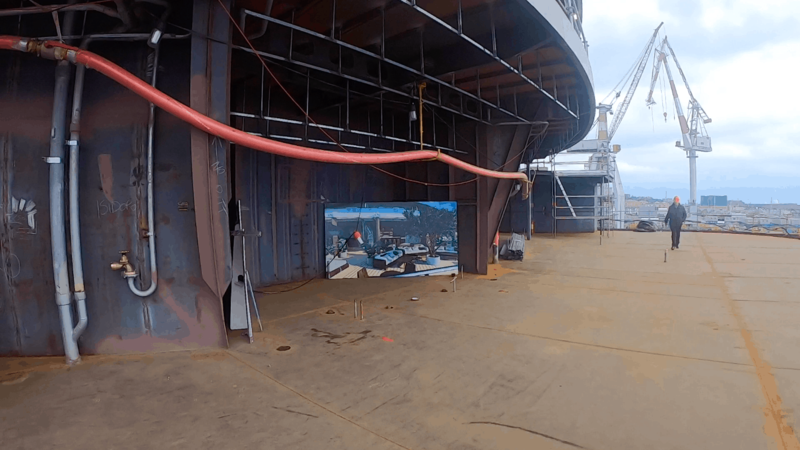 I’ve also included a video that I filmed onboard so please take the time to explore with me! Make sure you subscribe to my YouTube channel, so you don’t miss a thing. What do we know about Scarlet Lady? Scarlet Lady will be launching in 2020 and cruising out of Miami. 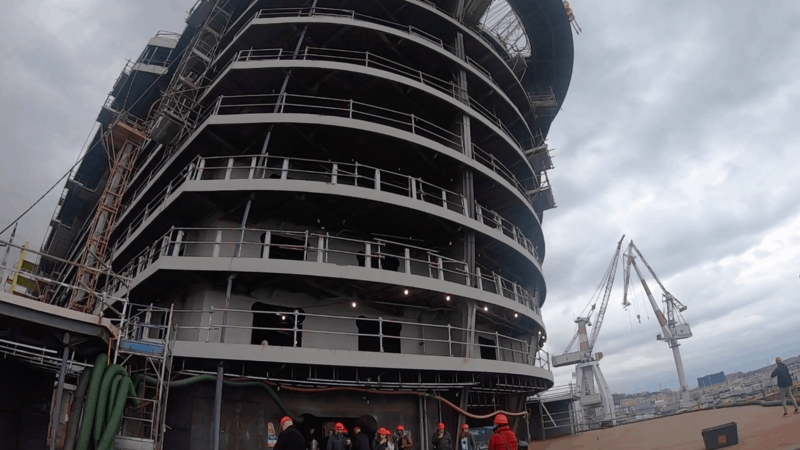 She will be a ‘mid-sized’ ship with around 2700 passengers. 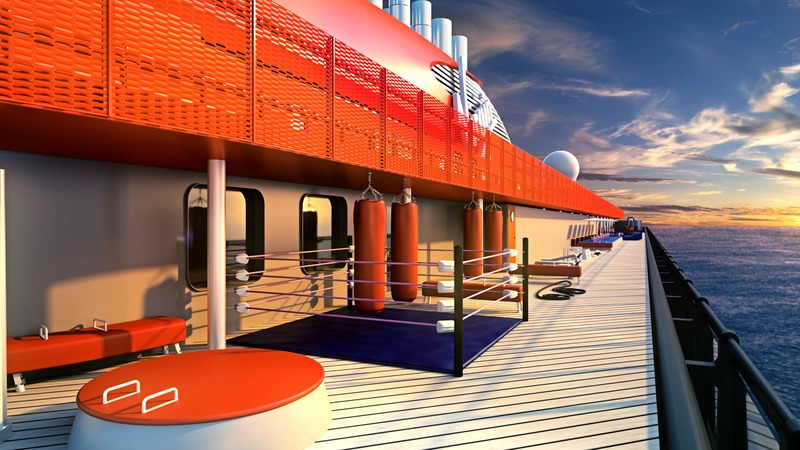 Virgin Voyages don’t call their cruisers passengers though, they’re all called ‘sailors!’. Cruises are also called ‘voyages’. Scarlet Lady is going to be adult only and the experience onboard seems to be all about ‘detox’ and ‘retox’. 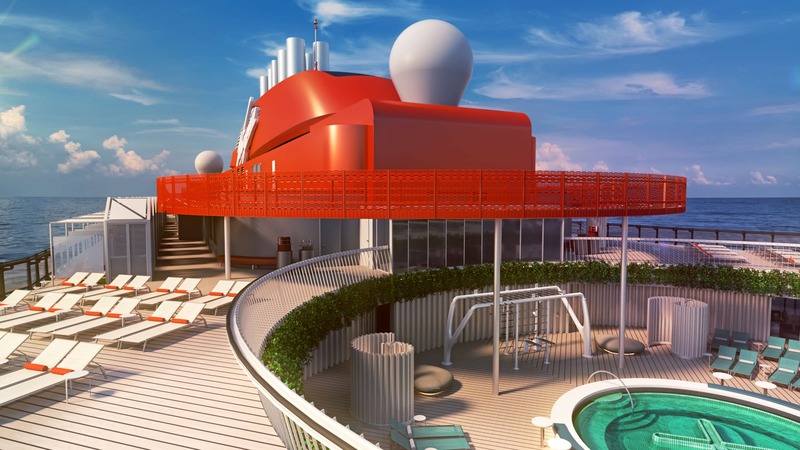 Virgin certainly are shaking up the traditional rules of cruising and trying to attract a younger market with flexible and fun cruises. We begin our tour at the top of the ship at the athletic club, a combined exercise and relaxation area. Above the athletic club is the running track which is actually separate from anything else on the ship. This means that runners won’t have to try and run around people walking/standing on the track, a great idea. 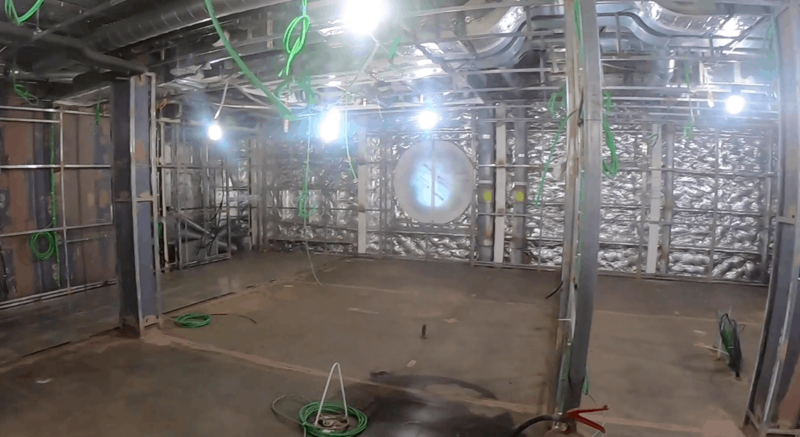 This doesn’t look like much at the moment but this will be one of the coolest places on the ship to hang out. 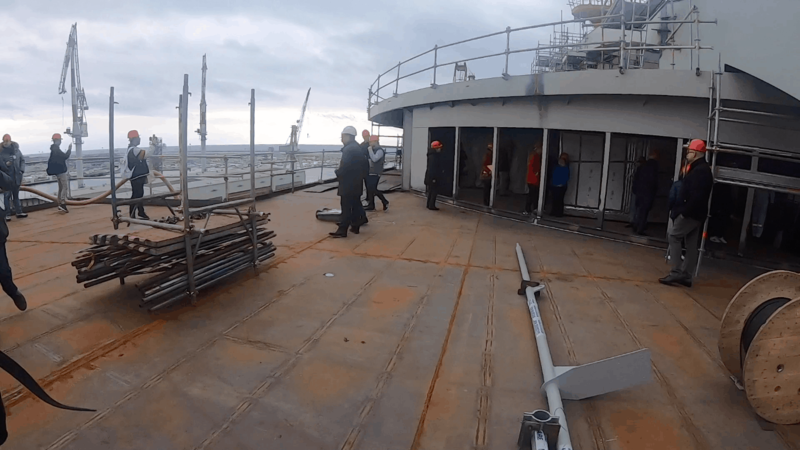 The ‘net’ will be across this part and sailors will be able to sit here. I’m sure it’ll be fun but it seems a little scary! It’s difficult to get an idea of scale from the top but later on in this post, you’ll be able to see the net from below. I love the design of this part of the ship. 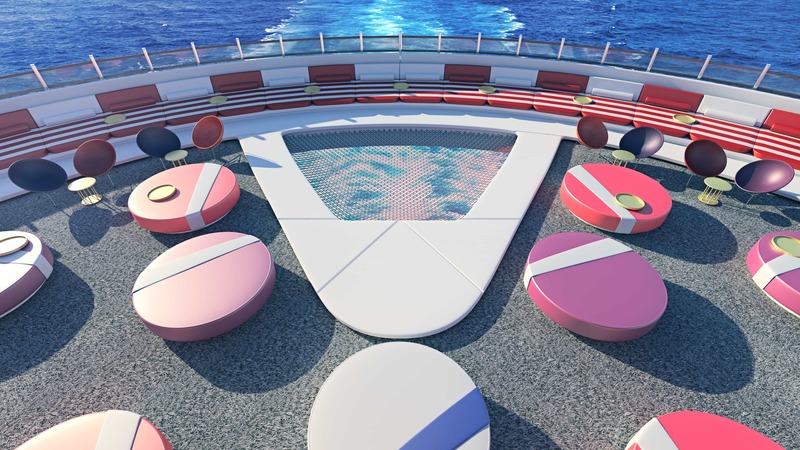 It must be really tricky to design a pool deck which is different from all of the rest but I think Virgin Voyages have managed to do it. 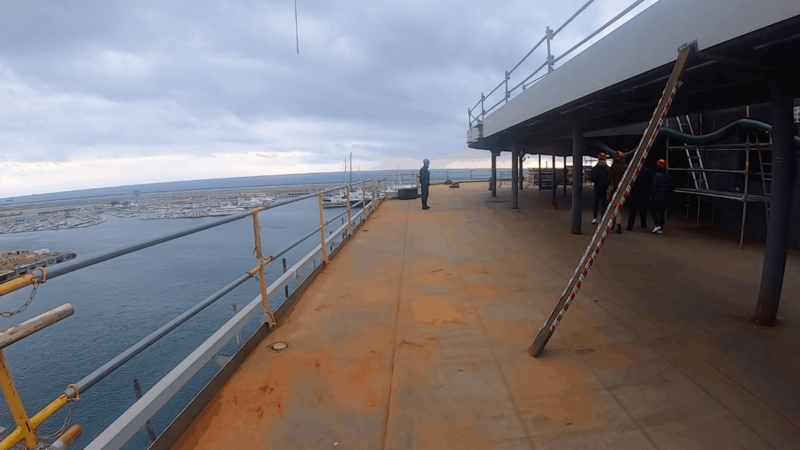 The pool decks are really spacious too, I imagine they’ll be great places to spend a sea day, sitting on a sun lounger with lots of drinks flowing. This suite is HUGE! I am sure that the footprint of this is bigger than the footprint of my house. The terrace has an outdoor shower, jacuzzi and a table which you can literally dance on. I don’t think I’ll ever be able to afford to cruise in a suite like this but just attending a party in one would be insane. The suite has its own music room complete with guitars, that is CRAZY COOL. I do actually have an electric guitar, I can’t play it though. We first got to look at the cabins in virtual reality. This was SERIOUSLY cool and really convincing. It is so much easier to get an idea of space when you are able to stand in the space and turn around. You’ll have to watch the video for that one though as it’s difficult to show in photos. 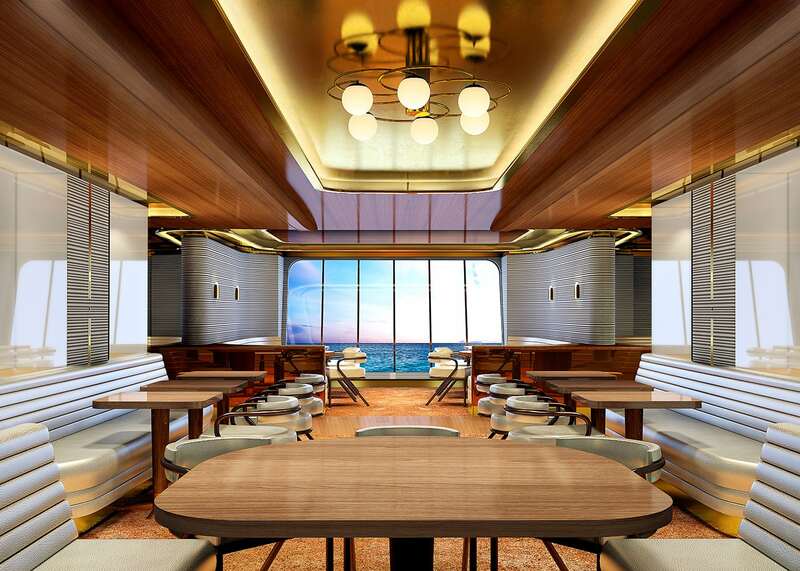 Inside Scarlet Lady – Virgin Voyages. 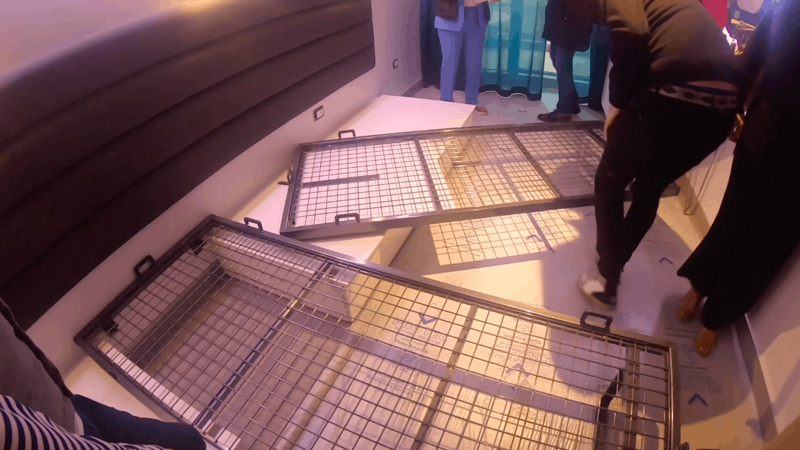 The cabins will have a ‘sea bed’ which transforms from a double bed into a lounger. This is designed to give you more room during the day but I think I would leave it as a bed, I need my afternoon naps! I do wonder if they’ll have rooms with twin beds though since this wouldn’t really work. 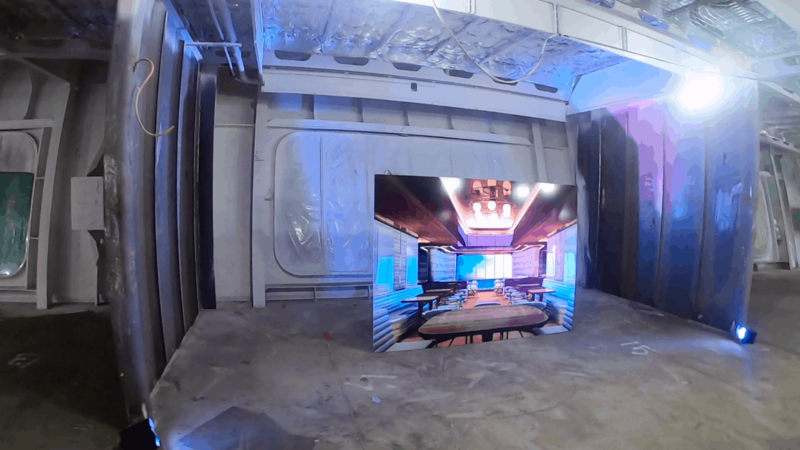 89% of cabins will have a balcony with a hammock but they do also have some inside and solo cabins. 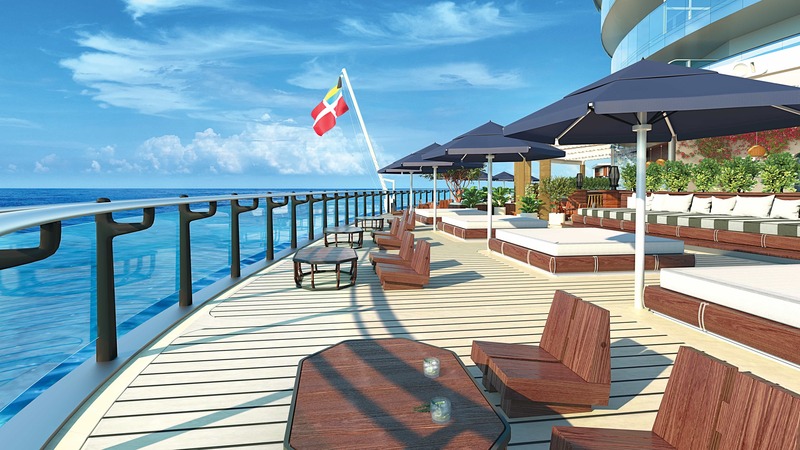 The dock will be a ‘beach club-style space’. The renders look amazing and it certainly has a premium feel. At the top, you can see the space where the net mentioned earlier will go, I hope this helps to give you an idea of how high up this is! Virgin Voyages cruises include ‘basic beverages’ like soda so I can see myself spending the day here having a couple of drinks. The wake is a restaurants onboard which has HUGE windows with amazing views. It is difficult to appreciate all the windows from photos alone but trust me, it’s going to be an amazing space with an open feel. There are 20+ places to eat on the ship which in itself is crazy, when you realise that there are no speciality charges onboard AT ALL this makes it even more incredible. Squid Ink is a tattoo parlour. Yep, you heard that right. 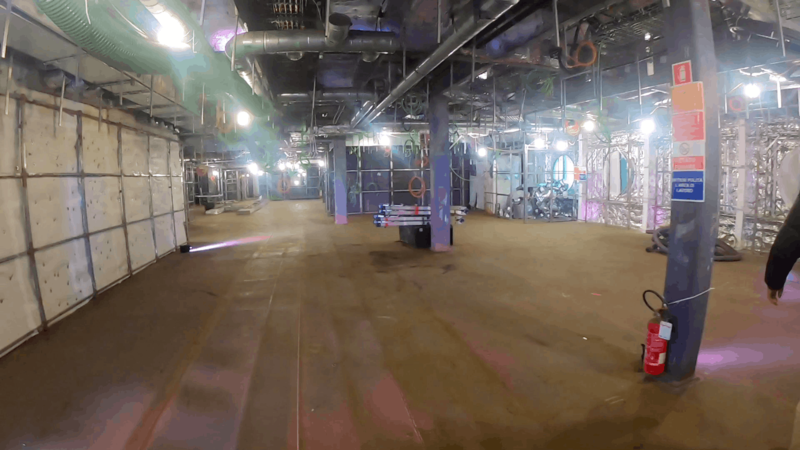 A tattoo parlour on a cruise ship! 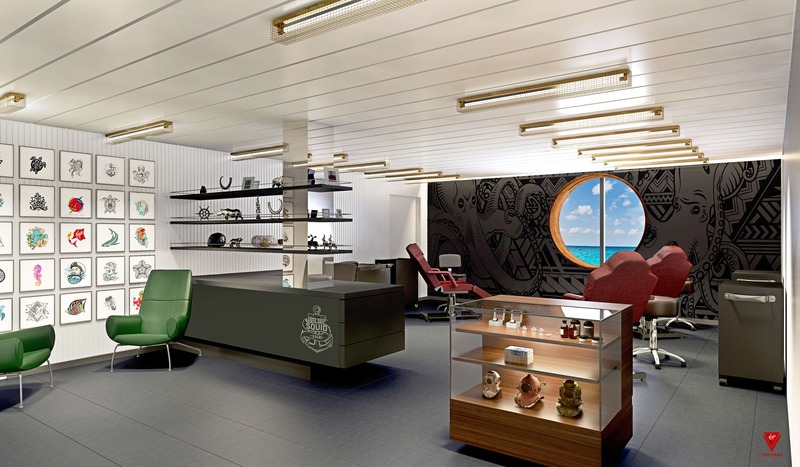 Sailors will be able to speak to the tattoo artists before their cruise to finalise a design before they arrive. They will also do tattoos that are not preplanned but I imagine these have to be smaller. 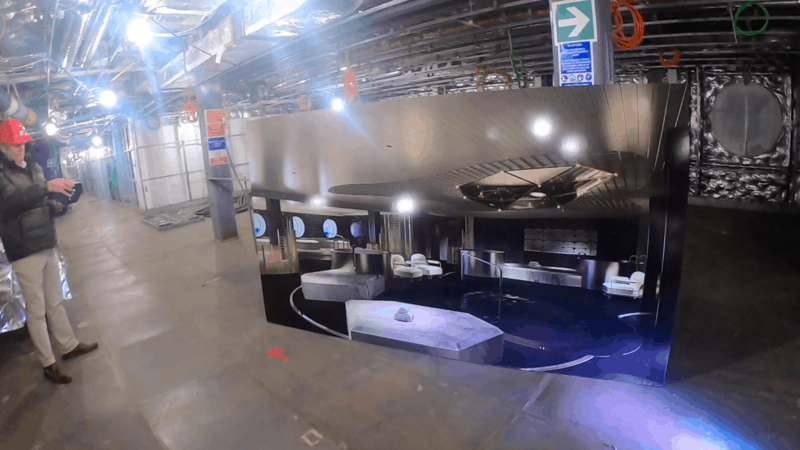 The redemption spa is a huge space which takes up a really big portion of deck 5. Even within the spa the focus is on the ocean and there are seats up by the windows where you can sit and watch the world go by. 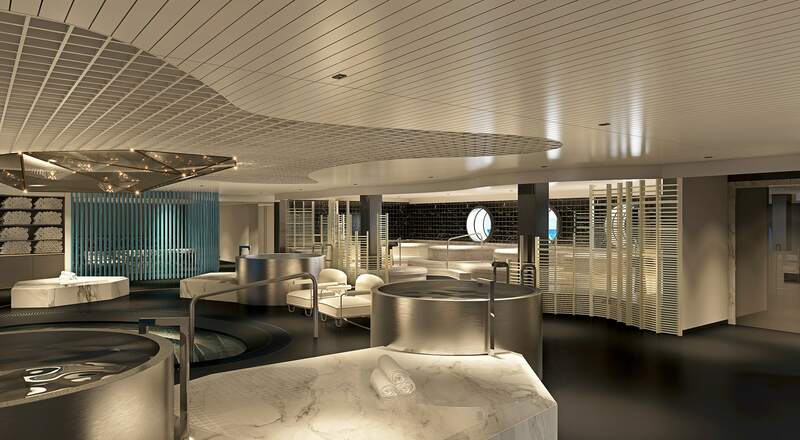 The spa definitely has the ‘premium’ feel that Virgin Voyages are going for. 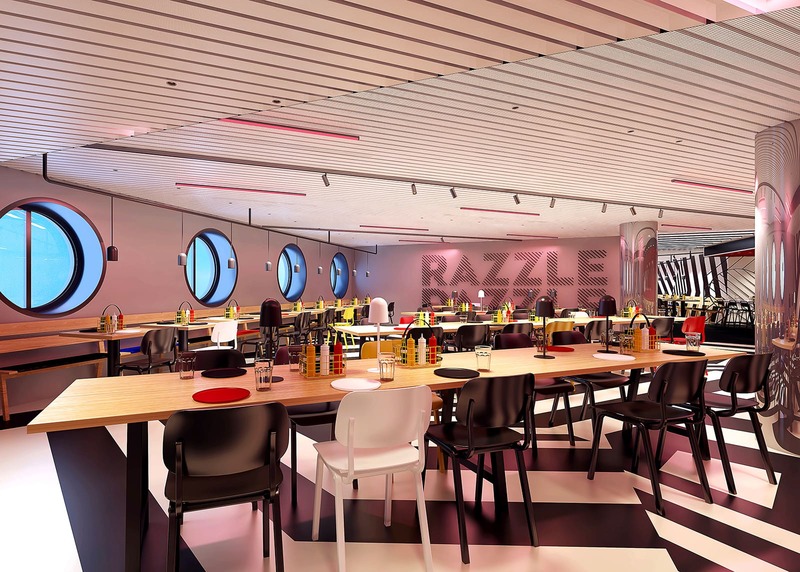 Razzle dazzle is a restaurant that not only serves brunch, it serves drag brunch! I never knew that I needed to have drag brunch on a cruise but now that I know that it is possible I really want to try it. 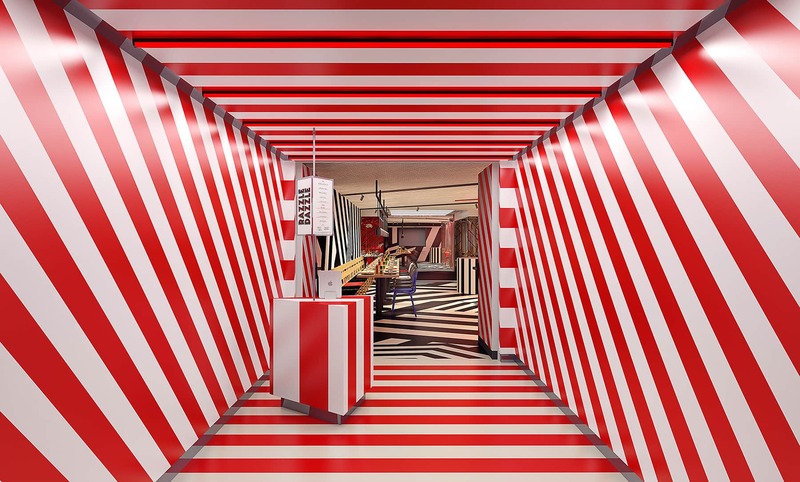 The restaurant will focus on ‘nice’ vegetarian and vegan dishes but will also have ‘naughty’ meat add-ons. Razzle dazzle is where you’ll find a cocktail called ‘Yass Queen’, a phrase I often use! Would I like to cruise on Scarlet Lady? It’s been really strange to see so much of me and the things I love reflecting in cruising. 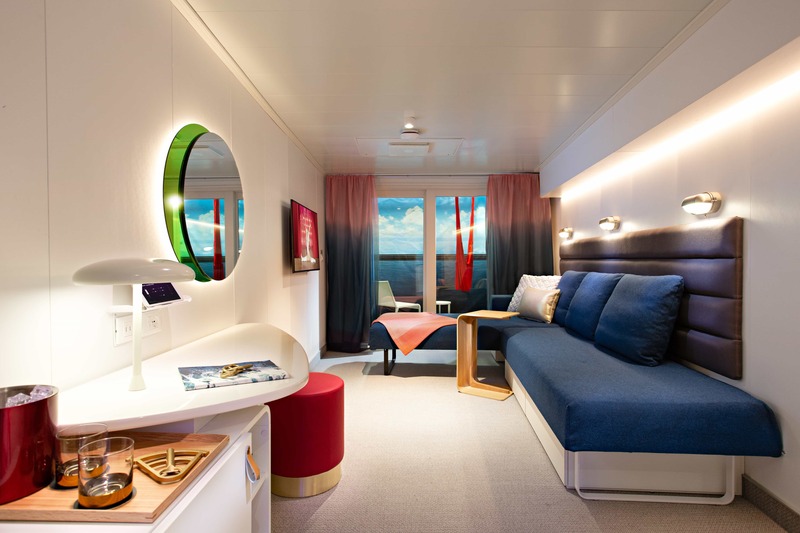 Virgin Voyages really have listened to what cruisers love (and hate) about cruising and tried to make a completely different product. I completely understand that this type of cruise isn’t for everybody but added competition in the industry has to be a good thing for all of us. Personally, I would LOVE to cruise on Scarlet Lady, she sums up everything that I have been saying for years and completely proves the ‘Cruising Isn’t Just For Old People’ point. Would you like to cruise on Scarlet Lady? Join our Facebook group and let me know! We’ve got over 3500 lovely members at the moment so if you ever have a question or photo/story you’d like to share please do join us. Cruising Isn’t Just For Old People – Facebook Group.